If you have an appreciation for modern furniture you will be highly impressed with this gorgeous white table lamp. 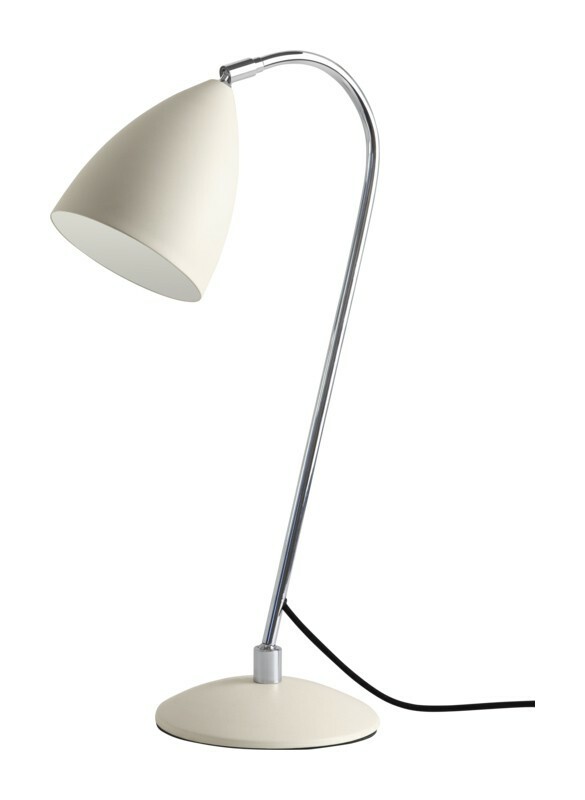 The lamp has a white painted finished base and shade that is complemented by a sturdy chrome shaft. Although the lamp is sleek in design, it makes an extremely powerful statement. The sloped metal shade allows you to control the focus of the light beam that is projected. This beautiful lamp is much more than a simple fashion statement, it will provides the perfect lighting experience for your home work or reading station. The lamp uses a 60W E27 bulb and possesses an integral switch.